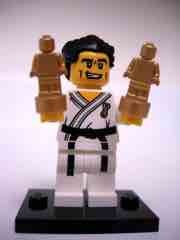 Kids love karate. If you were young-ish in the 1980s you were exposed to The Karate Kid, Teenage Mutant Ninja Turtles, and just maybe a ton of Jackie Chan movies. 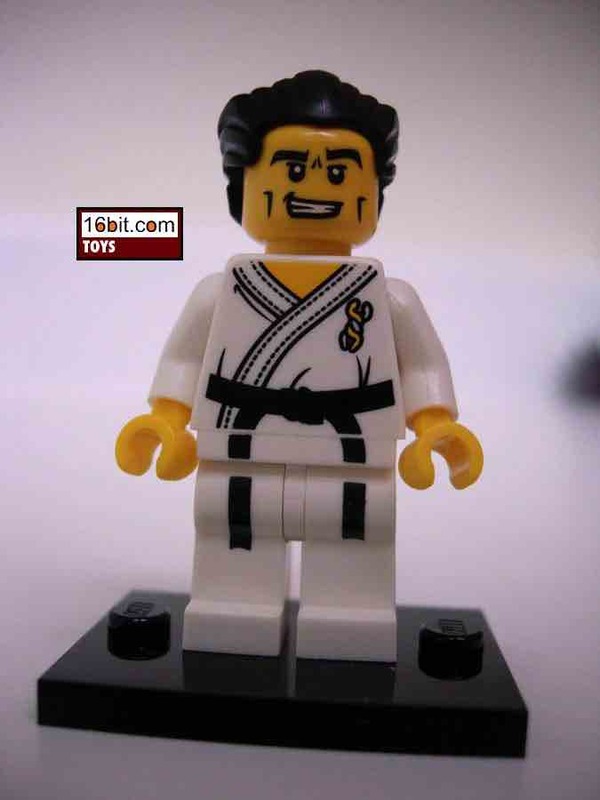 Playmobil capitalized on a great Karate figure a few years ago, and not one to miss a good opportunity LEGO made their own Karate Master for the second series of blind-boxed figures. With a face that's something between smug and crafty, the yellow face has a few wrinkles-- unusual in the line as a whole-- and slicked-back black hair which, as always, is completely removable. 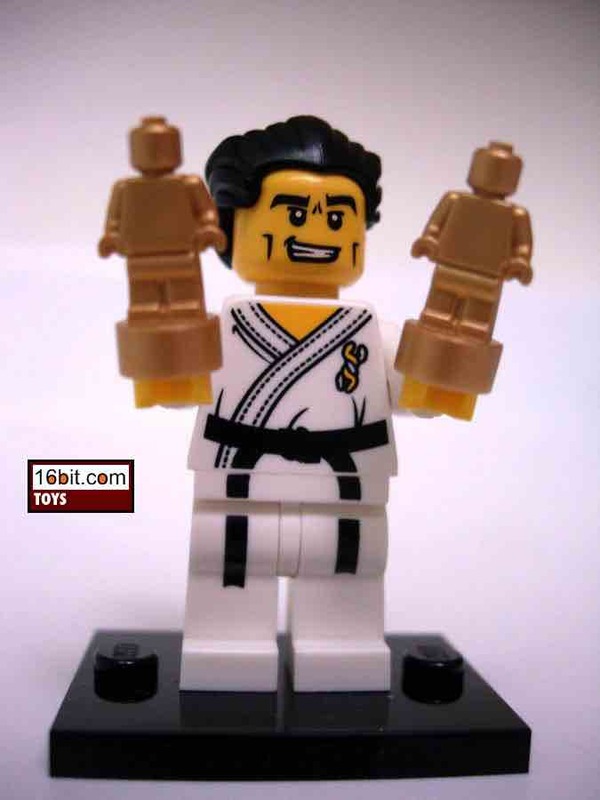 The figure's body construction is the same as nearly every other LEGO figure ever made, but he includes a pair of exclusive "gold" trophies in the shape of a minifigure. 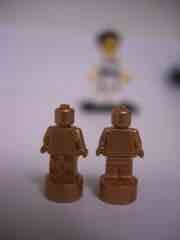 (Or at least, these were the only ones I've ever seen.) 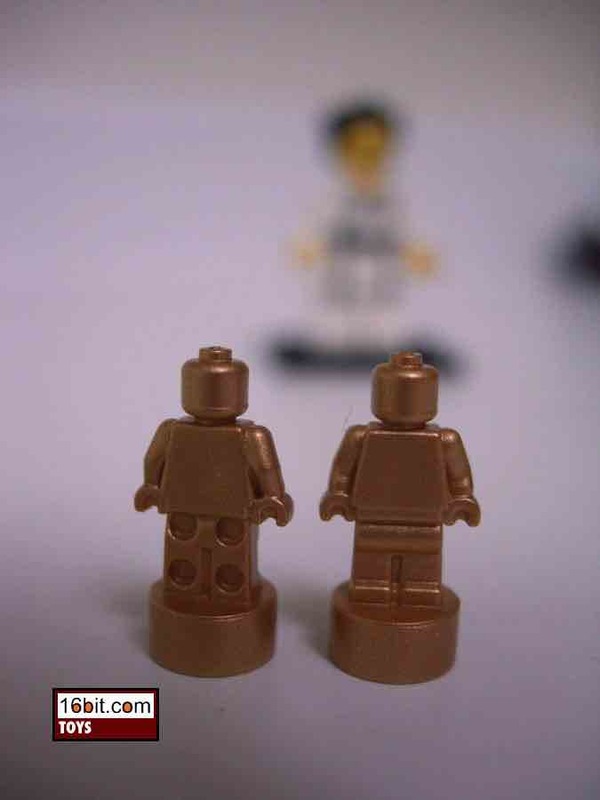 You can use them as cake toppers, Oscars, Emmys, or any of a number of other functions in your own creations so there's a definite advantage to picking up one or more of this figure. 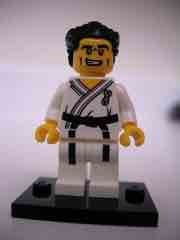 Plus it's a karate man, and you don't have enough LEGO martial artists just yet.